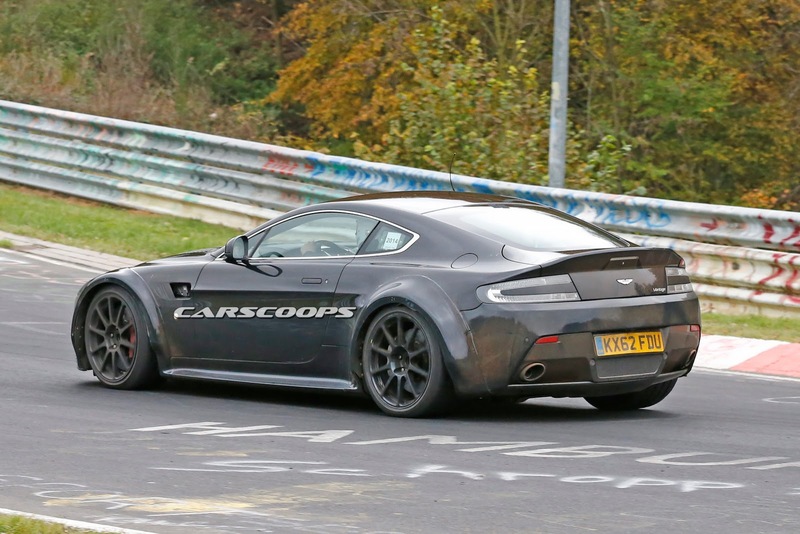 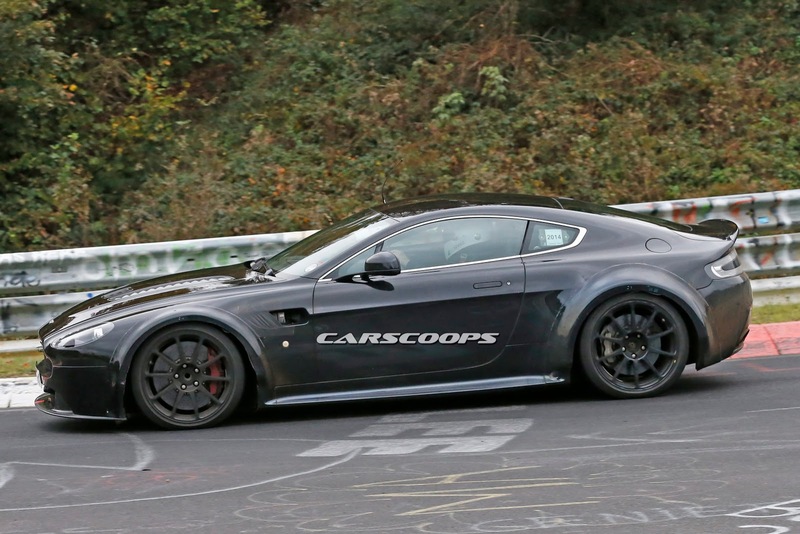 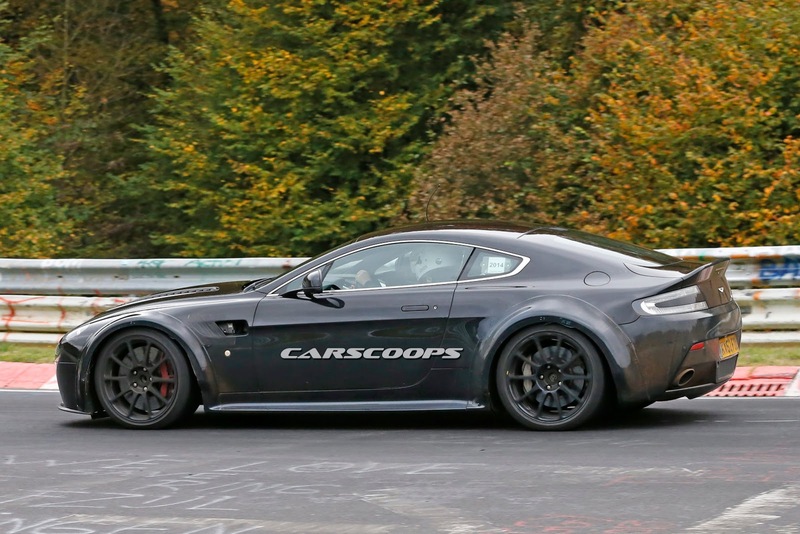 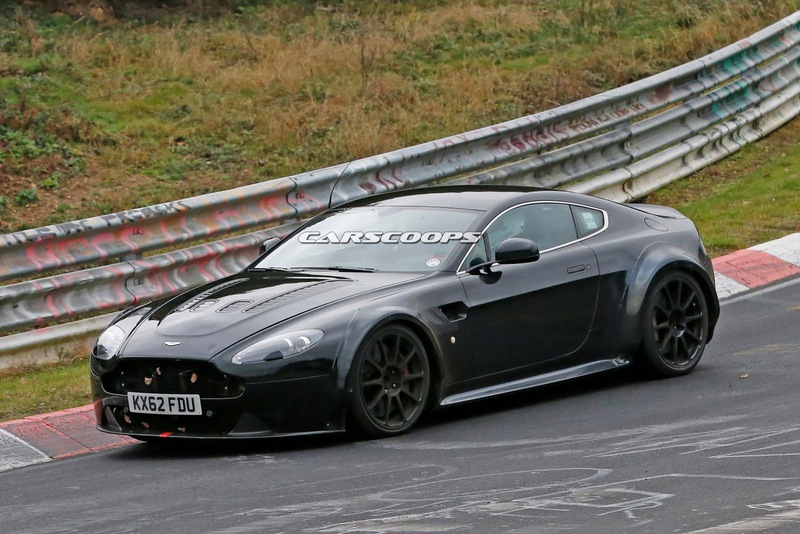 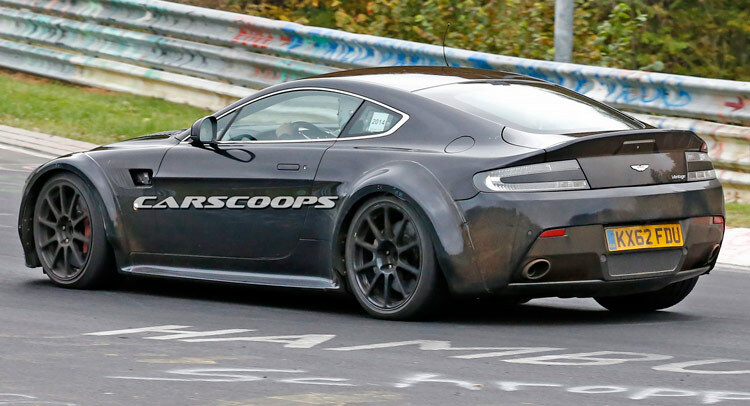 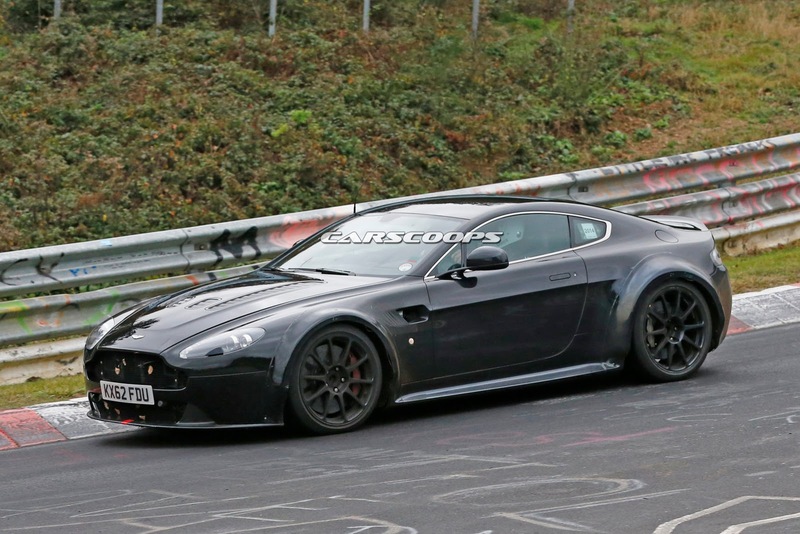 Scoop: New AMG-Powered Aston Martin or Another Edition of the Vantage? 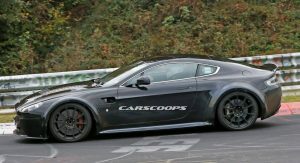 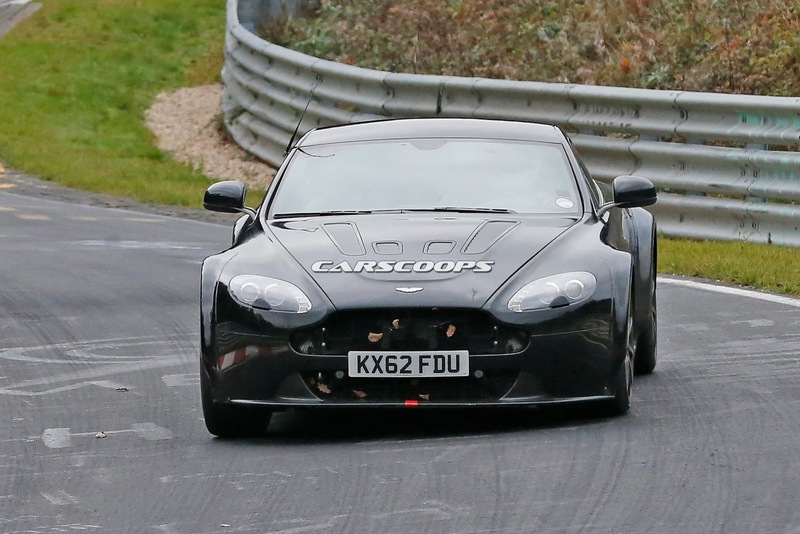 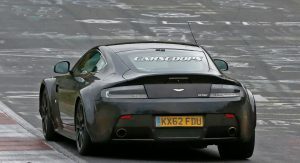 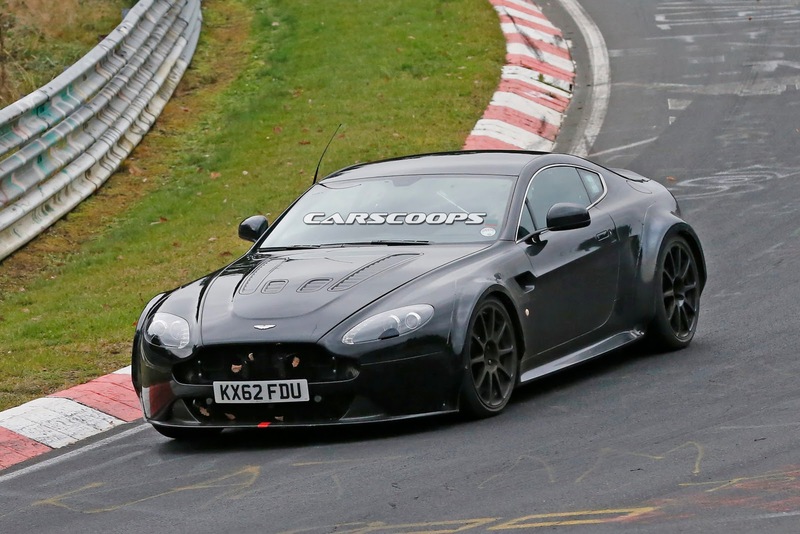 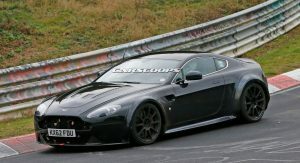 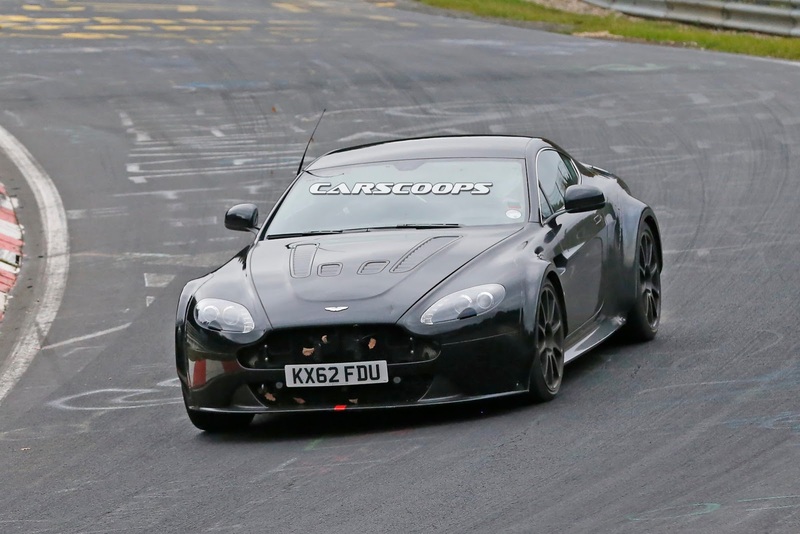 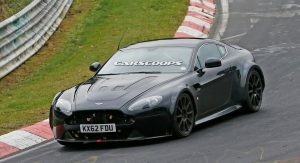 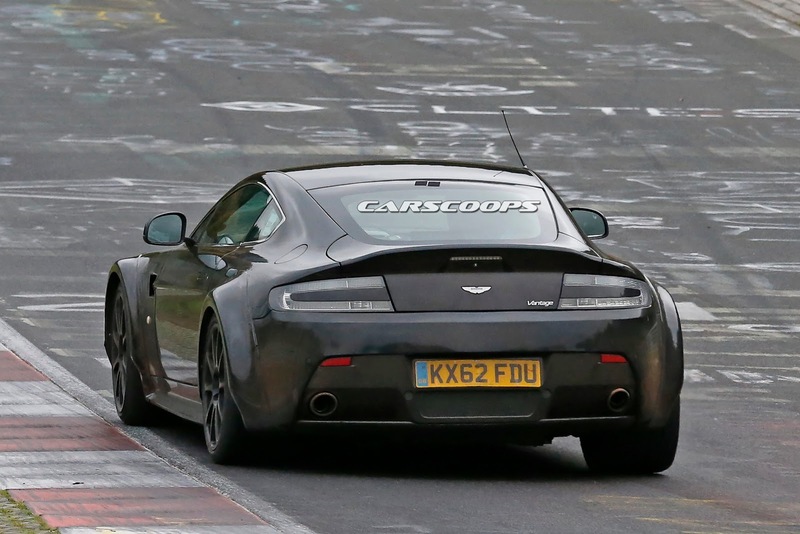 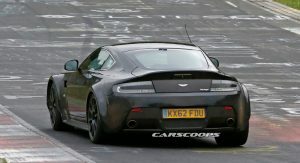 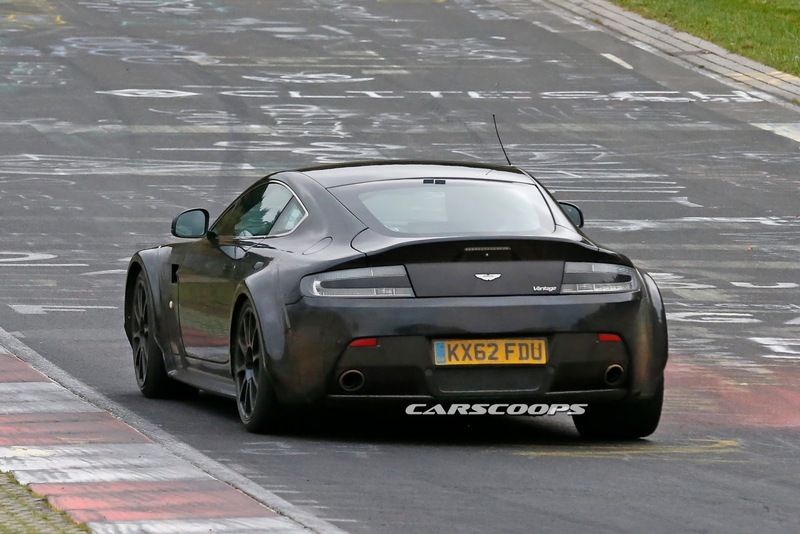 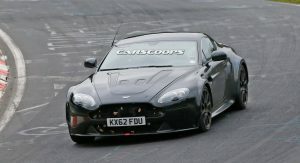 Our spies spotted this Aston Martin V12 Vantage S-based mule running around the ‘Ring; the problem is, we don’t know what we’re looking at yet. 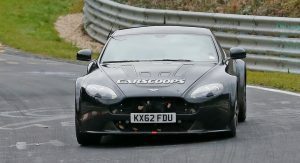 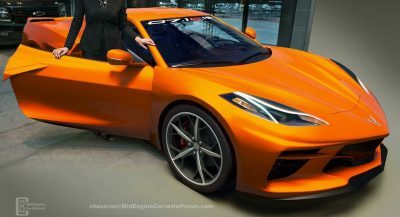 Aston Martin is currently in a transitional phase after having secured additional funding and an engine deal with Mercedes-AMG that will see the British brand undertaking what it has described as its “biggest product offensive” to date. 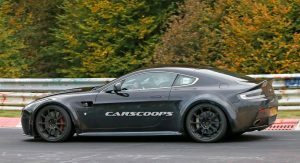 We know that Aston is working on replacements for its entire range starting with the next DB9s in late 2016 or early 2017 followed closely after by the new Vantage models. 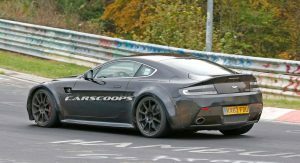 However, we aren’t sure if the tester we spied here is a mule for one those cars or if the Brits are back to their old tricks again developing another special edition of the Vantage to buy some time until they can release a truly new model. 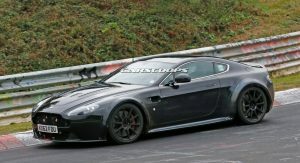 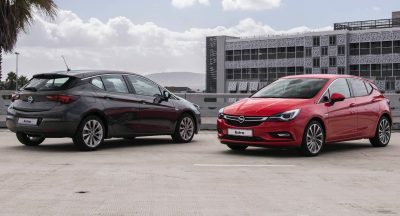 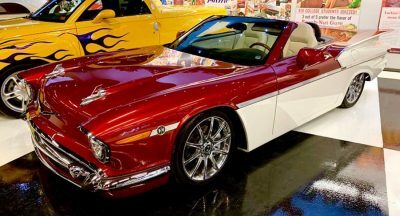 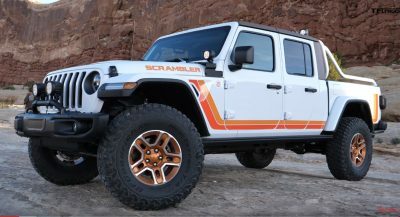 The most evident changes are the significantly enlarged fenders on all four corners with matching side skirts, under which you’ll find wider tracks on both ends.